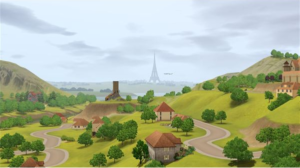 Mod the Sims 3 is a popular site where Simmers can find a variety of downloads and tutorials. The objects, build items, and genetics that come with the Sims 3 and its expansion and stuff packs often drop the ball a bit when it comes to great furniture, paint colors, hairs, clothing, and other things Sims need. This is where custom content and Mod the Sims 3 comes in. Long-time Simmers who used custom content in The Sims 2 surely know Mod the Sims very well and the great things that can be found there, but those who are unfamiliar with the site might find the sheer volume on the site a little overwhelming. Buy mode includes furniture, clutter, and other home items. Build mode contains building tools, such as fences, paint and wall coverings, flooring, terrain paints, and everything else players need to build their Sims’ dream home. 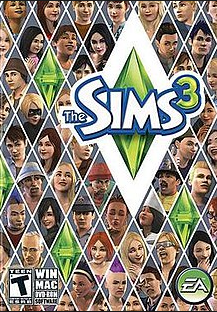 To find Sims 3 downloads on Mod the Sims 3, players will begin by going to Downloads and then choosing Sims 3. Once there, a list of categories will show up. Players will choose the category they are looking for items in. For example, if players are looking for new living room sets, they would click on Buy Mode then By Room then Living Room. From there, simply browse the available custom content. If players are looking for new windows, they would click on Build Mode then Doors and Windows. Those looking for CAS screens, careers, or other miscellaneous items, such as dinnerware default replacements and other random custom content, players will click on Miscellaneous and go through the pages. *Do not use bullet points. Save this as resources.cfg and double check that the .txt is not there. Now, create a folder either on your desktop or in My Documents, and place all Sims 3 downloads in there so you can find them easily when you are ready to install. While this includes far more steps than it did in The Sims 2, it is still relatively easy once you have it all set up and get used to doing it. Everything above, is all getting ready to install and only has to be done once, so once all of the folders are created, they are done and ready to go whenever needed.